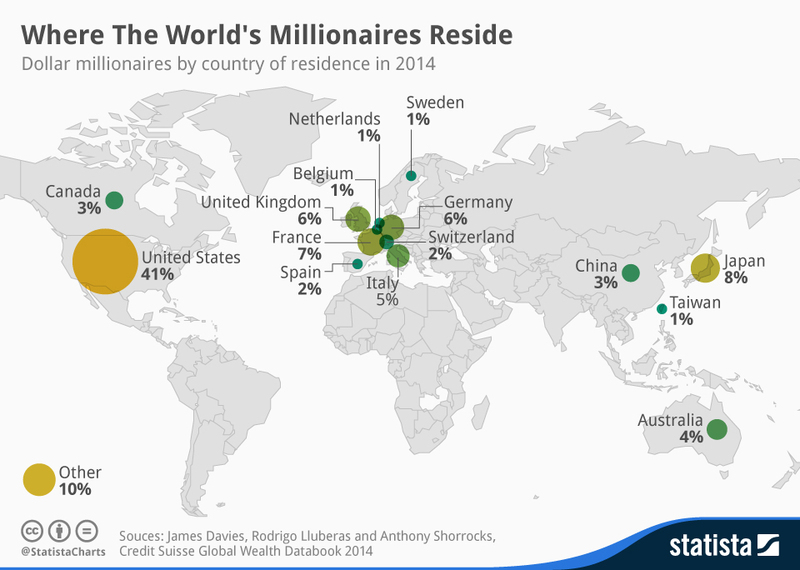 Where Do The World’s Millionaires Reside? According to the Credit Suisse Global Wealth Report, 41 percent of the world’s millionaires live in the United States. Japan comes a very distant second with 8 percent. This gap wasn’t always so pronounced – Japan’s millionaire population fell considerably in recent years while the United States has experienced a significant increase. Globally, Europe has the highest density of millionaires. France is home to 7 percent of them while Germany and the UK follow closely with 6 percent each. To read the Luxe Beat Magazine version of this article click on the title Where Do The World’s Millionaires Reside? Barceló Karima is a "10"